Summit Racing now carriers Retrax MX Series Retractable Tonneau Covers. The flush-mount covers feature a patented design that provides a weathertight seal--the retractable tonneau slides easily along ball bearing rollers on the aluminum support beam so there are no worries about the cover seizing in place. The tonneau can be locked in any position along the rail for full or partial cargo protection. It rolls itself in to a spiral track container at the front of the bed. The canister prevents the cover from contacting itself, keeping wear and tear to a minimum. Summit Racing offers two different styles of Retrax MX Series tonneau covers. The RetraxONE MX covers feature a one-piece matte black polycarbonate tonneau that is scratch- and UV-resistant. 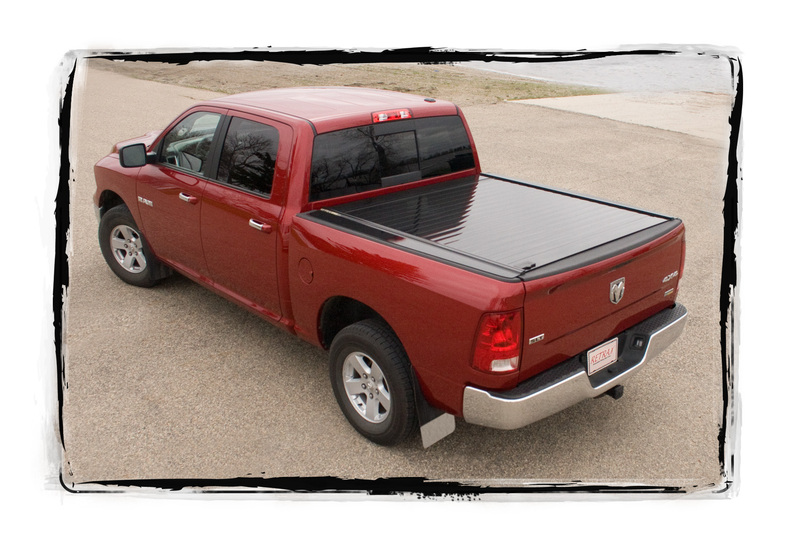 The RetraxPRO MX covers have an aluminum slatted tonneau with a matte black powdercoat finish. Retrax MX Series Retractable Tonneau Covers install without drilling and are available with manual or power retract. The power retract covers use a key fob-controlled electromagnetic brake to open and close the tonneau or to lock it in any position along the rail. Retrax MX Series covers are backed with a limited lifetime warranty.